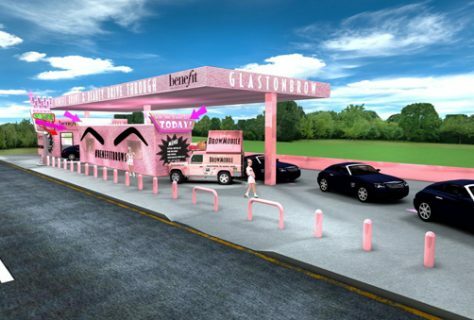 At this year’s annual Glastonbury music festival, Benefit is launching a drive thru brow bar in which the makeup brand will be offering free beauty/brow services to the party-goers where you may get your eyebrows waxed, threaded and tinted, all whilst waiting in that dreaded traffic which will be inevitable when entering the fest! Benefit's drive thru will be located outside the park for two days (Wednesday June 21 and Thursday 22). 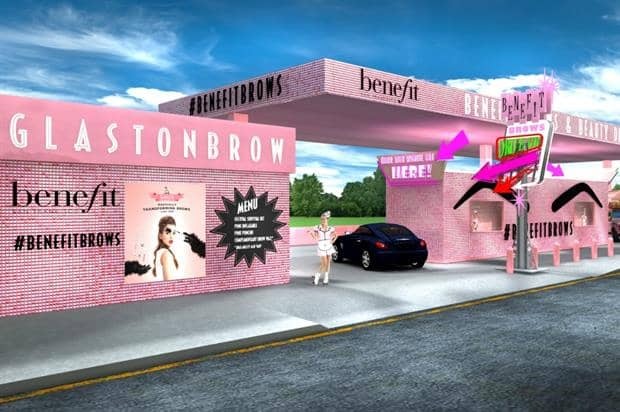 Benefit's GlastonBrow is also going to be giving away free products and brow waxes, allowing your brows to stay put and look fabulous. There is a menu at the start of the Drive thru experience where you can choose your freebie. This could be a festival essentials pack with dry shampoo, wet wipes, loo roll and other things you will need including a beach ball, mirror or poncho. All the necessities for glamping! To keep the classic Glastonbury vibe going there will be live DJs entertaining at the pop-up to get the festival spirit kicking in. And if that is not good enough for you, Benefit will also be holding a competition in which you post a photo of yourself with the hashtag #BenefitBrows on Instagram for the chance to win a year’s supply of cult Benefit products, it doesn’t get much better than that guys! 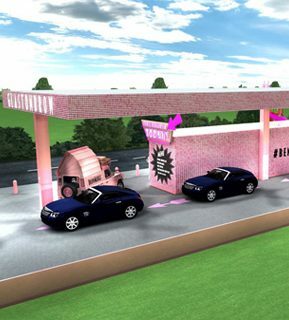 “Laughter really is the best cosmetic and so we wanted to induce some fun into the traffic queue.” – Benefit Cosmetics. You cannot miss this chance to be photo ready before non-stop dancing and smiles!